Started to pay attention to Henry Kissinger after I read an interview artical about him from the RUI magazine, which regarded him as the high-level diplomatic contact between US and China for more than two decades. So his English book about China remains an interests to me ever since. In this fascinating, shrewd and sometimes perverse new book, it gave people a great understanding about China’s diplomatic history and the development for the past 50 years(with the view of an American). I totally loved the very beginning part of the book which tries to show how the history of China, both ancient and more recent, has shaped its foreign policy and attitudes toward the West, a true master piece with history which was unknown to me in the past. In this sweeping and insightful history, Henry Kissinger turns for the first time at book-length to a country he has known intimately for decades, and whose modern relations with the West he helped shape. 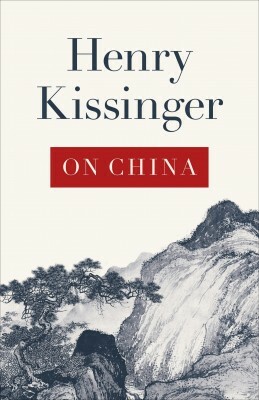 Drawing on historical records as well as his conversations with Chinese leaders over the past forty years, Kissinger examines how China has approached diplomacy, strategy, and negotiation throughout its history, and reflects on the consequences for the global balance of power in the 21st century.